Forever Unique is a luxury fashion brand retailer, launching over 10 years ago in 2008. The company has grown to become one the most popular fashion websites in the UK. The mantra for Forever Unique is to offer affordable designer fashion. Allowing more people to access to high quality, fashion-led clothing. What type of products do Forever Unique sell? Which popular brands do Forever Unique sell? Forever Unique is a well-established fashion brand based in the UK. 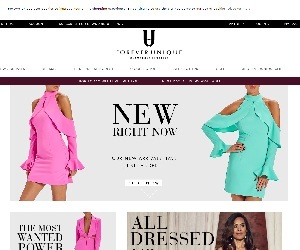 Forever Unique sell designer clothing with a strong emphasis on having a modern glamorous style. With frequent voucher codes and sales, there is a sure saving to be had here. Regular 50% sales make this retailer one of the more affordable around.